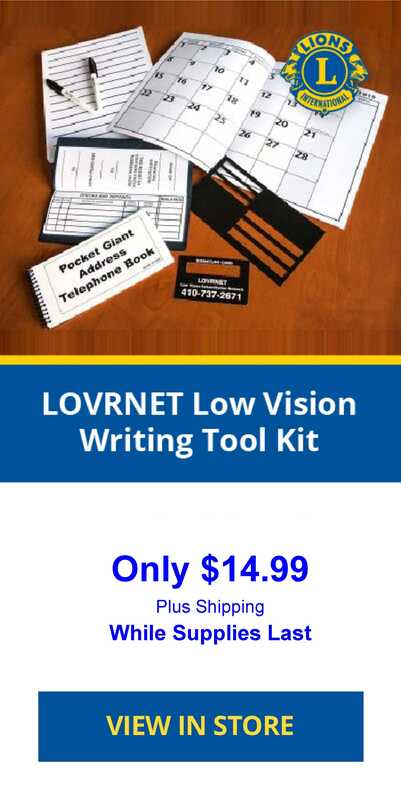 This Agreement contains the terms and conditions ("Terms and Conditions") that apply to your purchase(s) from Lions Low Vision Rehabilitation Network (“LOVRNET”) of product(s) ("Products") or service(s) ("Services"). It contains very important information about your rights and obligations as well as limitations and exclusions that apply to you. By placing an order, you acknowledge that you have read, accepted and agreed to be bound by these Terms and Conditions and to comply with all applicable laws and regulations. These Terms and Conditions apply unless you have signed a separate purchase agreement with Lions Low Vision Rehabilitation Network. These Terms and Conditions are subject to modification without prior written notice at any time in Lions Low Vision Rehabilitation Network's sole discretion. Lions LOVRNET may amend these Terms and Conditions at any time by posting the amended terms on the Website, and such amended Terms and Conditions shall be effective once posted. If you place an order after such time, your use shall constitute an agreement to such amended Terms and Conditions. You can view the current versions at any time by clicking on the hyperlink labeled "Terms and Conditions of Sale." 1. Price and Payment Terms. Your total price for the Products and Services will be stated on your purchase receipt. Terms of payment are within Lions LOVRNET’s sole discretion and, unless otherwise agreed to by Lions LOVRNET, payment must be received by Lions LOVRNET prior to Lions LOVRNET's acceptance of an order. Payment for the Products and Services and support must be made by credit card (Visa or MasterCard) or some other prearranged payment method, unless credit terms have been agreed to by Lions LOVRNET. Orders are not binding upon Lions LOVRNET until accepted by Lions LOVRNET, . Lions LOVRNET reserves the right to decline the acceptance of any order, including but without limitation, in the event the price of the Products or Services is a mistake. You acknowledge and agree that the content accessible within the Web Site is the proprietary information of Lions LOVRNET and its content providers, and Lions LOVRNET and its content providers retain all right, title, and interest in the Content. Accordingly, you may not reproduce, transmit, publish or distribute such Content to any third party without the express written consent of Lions LOVRNET, except that you may print out a copy of Content solely for your personal use. In doing so, you will not remove or alter, or cause to be removed or altered, any copyright, trademark, trade name, service mark, or any other proprietary notice or legend appearing on any of the Content. 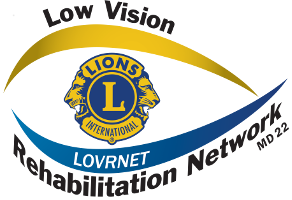 Lions Low Vision Rehabilitation Network may revise and discontinue Products or Services. Lions LOVRNET makes no warranties, express or implied, including, without limitation, warranties of merchantability for computer programs and implied warranties of merchantability, fitness for a particular purpose and informational content. Lions LOVRNET reserves the right to modify its warranty at any time, in its sole discretion. Some states limit or disallow certain disclaimers of warranties, so certain portions or all of the above disclaimers may not apply to you. 8. Return Policies and Exchanges. All sales for products listed on the LOVRNET website are final and no refunds or exchanges will be provided under any circumstance. 10. Applicable Law; Not For Resale. This Agreement is made and shall be construed in accordance with the laws of the State of Maryland in courts located in the County of Baltimore. . Reasonable attorney's fees shall be reimbursed by the losing party to the prevailing party in litigation. You agree and represent that you are buying for your own internal use only, and not for resale. Lions LOVRNET shall not be in default by reason of any failure in performance of this Agreement if such failure arises, directly or indirectly, out of causes reasonably beyond the direct control or foreseeability of such party, including but not limited to, default by subcontractors or suppliers, acts of God or of the public enemy, terrorism, U.S. or foreign governmental acts in either a sovereign or contractual capacity, labor, fire, flood, epidemic, restrictions, strikes, freight embargoes, and/or banking and financial institution interruption.